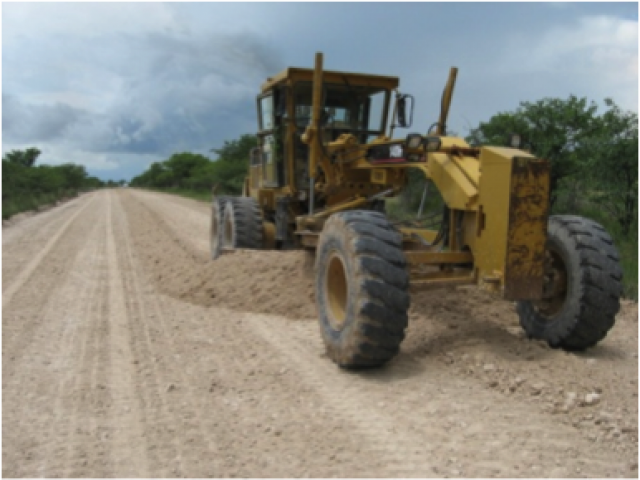 The Roads Authority (RA) has implemented a completely new form of contract for the blading maintenance of gravel roads, called a SME Development Contract, thereby promoting the development of Small and Medium Enterprises (SMEs), whilst at the same time ensuring the continued provision of cost efficient road maintenance services. The controlled and monitored participation of SMEs is entrenched in the new SME Development Contract Model. Through the contract documents it is ensured that the SMEs are provided with a complete support network ranging from project management support, technical support, cash-flow support to logistical support (including plant hire). The SME Development Contract Model provides the mechanism through which the RA (as the Client) can channel the SME support via the Main Contractor to the SMEs who serve as Sub-Contractors. The new form of contract enables the Roads Authority to play a meaningful role in a more efficient and effective manner than is possible with the individual SME contracts. The Project is structured in such a manner that after the completion of the Project, the professional staff of the Client, being young engineers up to Assistant Regional Engineer Level, will be in the position to fulfill all the required contract management functions and take over the responsibility for the Project.